Wow, you sure flew by! 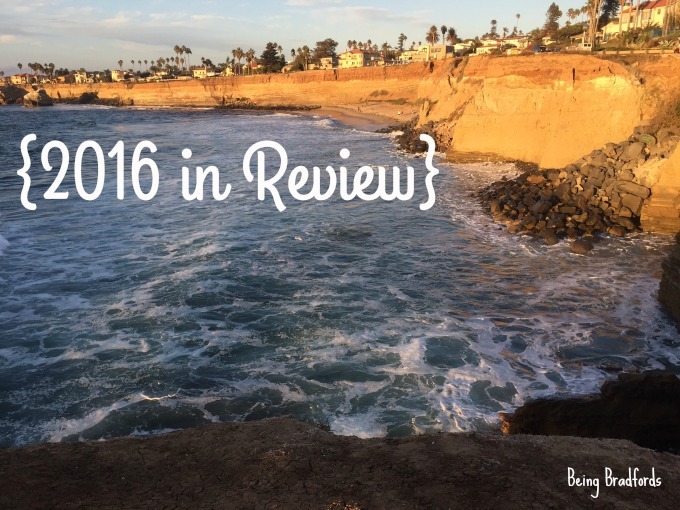 I feel like I was just doing my year in review post for 2015 and now I'm taking a look back at this year. Doesn't this happen every year.? Yes, but this one felt particularly fast!! My word for the year was "grow" and that definitely describes what I went through. Growing is sometimes painful and other times it's a great experience. I've definitely had a mixture of both this year. I started a new business venture in January and it was pretty dang terrifying. I was so nervous about what people would think, how I would make it work, and if I would be successful. I pretty much doubted myself at every angle, until I really started to fall in love with what I was doing. I'm working on let people's negative opinions roll off my shoulders (sometimes more successfully than other times lol). I also learned that I CAN be successful in this business! Who knew?? :) If you asked me in January if I thought I would still be doing this business in December, I would have said no lol....boy have things changed! I really can't imagine my life without it. I'm excited to see what my business will look like at this time next year! 2016 also proved itself to be a year of waiting. We've waited such a long, long time to have a baby and we keep hitting roadblocks. Thankfully, we have really good doctors that are helping us to have the best possible chance to start a family. I'm so grateful for them. So again, we will put our trust in the Lord and the people He places in our lives. We will wait for this perfect little one to join us one day in the future. Some days this waiting and hoping is just harder than other days. :( Some days, I'm super optimistic and joyful. We will continue to pray that we will be able to start a family very soon. Your prayers are always welcome and appreciated! We thought this would be the year that we purchased our first home. Well that didn't happen... not even close. What we did find was a cute little house for rent in Point Loma that was right in our price range and gave us everything we were looking for... a garage, a yard for the pups, parking, etc. Plus we can ride our beach cruises all over Point Loma. YESSS! So am I bummed that we didn't buy a house? Yes and no... I think we are right where we need to be. Your year sounds a lot like mine with the trying to buy a house and trying to have a baby. Gotta love the CA real estate market!